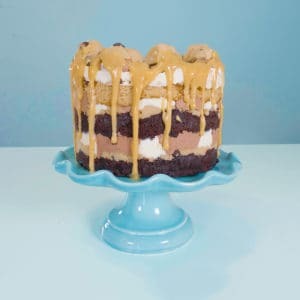 This cake is something dangerous….ly delicious! 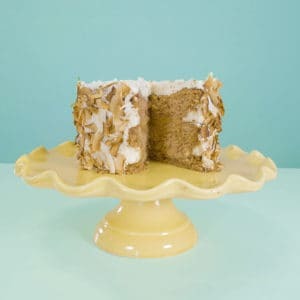 So complex and mouthwatering on the inside that we decided to leave it un frosted and bare. 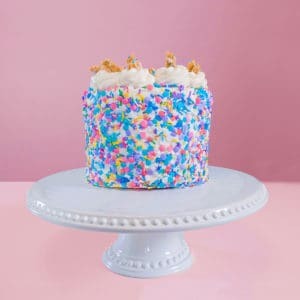 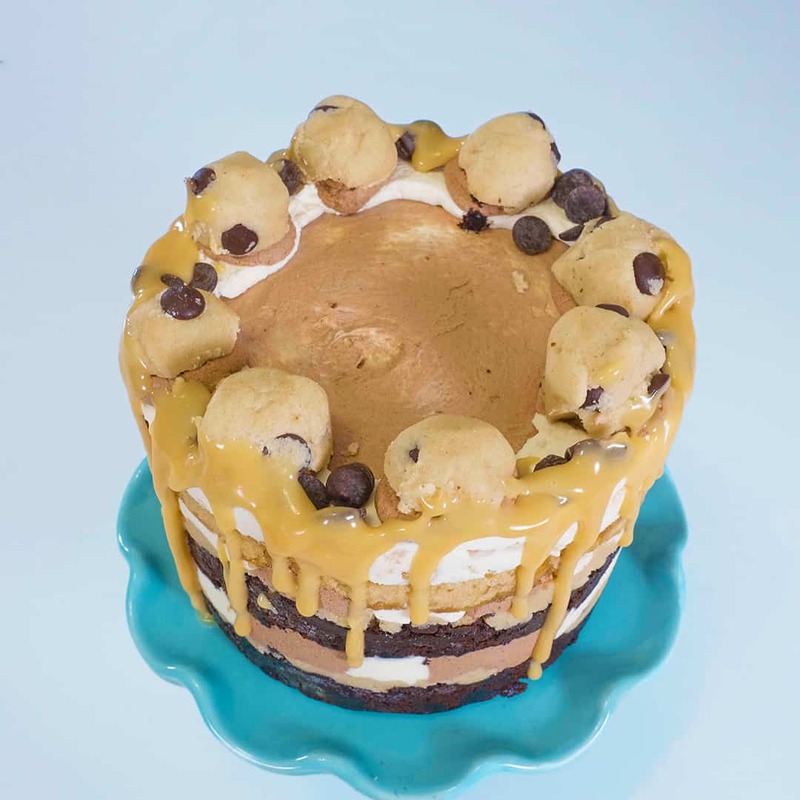 The Half Baked Cookie Dough Cake is entirely gluten free, dairy free, egg free, vegan and nut free. Drizzled in our house made coconut caramel sauce, it’s sure to make any celebration extra special. Here’s the Cookie Dough Cake Story: Layers of spongy and rich vanilla and chocolate cake, raw vegan chocolate chip cookie dough, and striped with vanilla and chocolate swiss meringue buttercream. 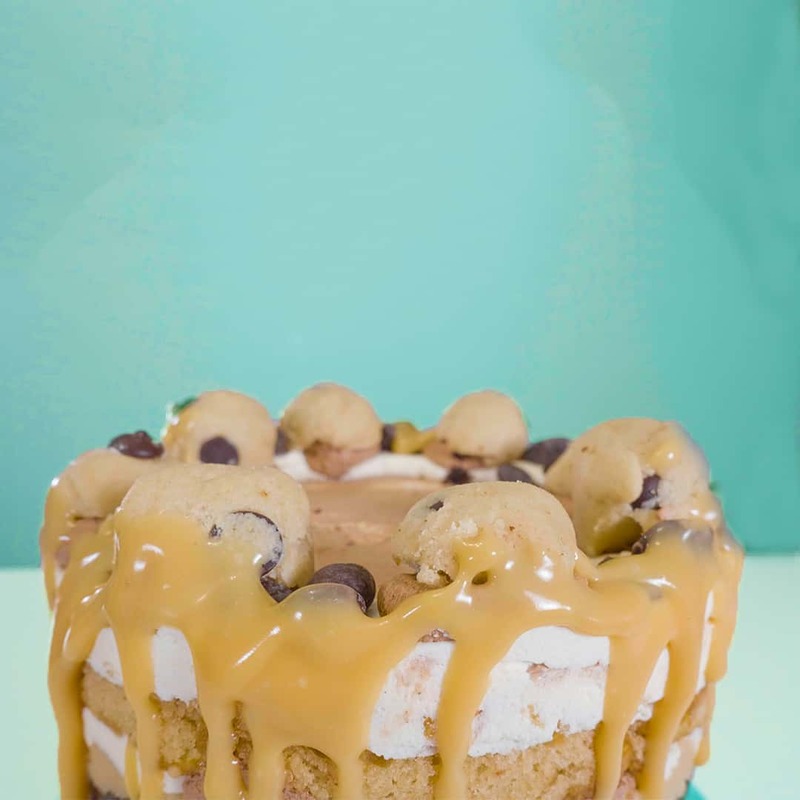 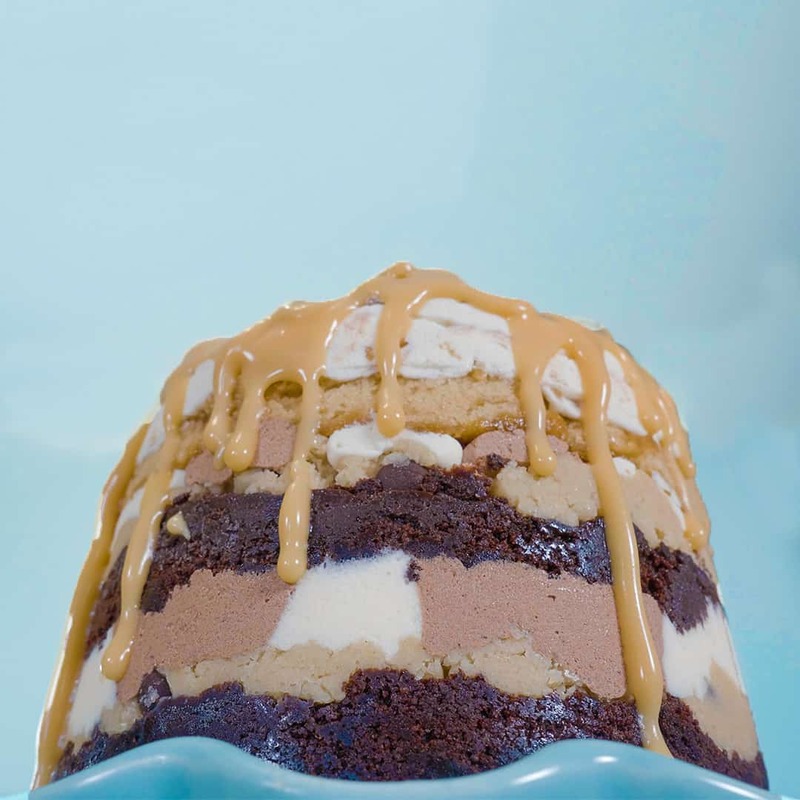 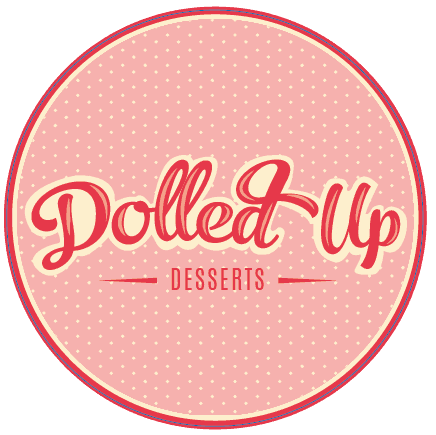 The cake top is smothered in icing, chocolate chips and more cookie dough balls, and then drizzled to perfection in our house made coconut salty caramel sauce. ALLERGENS: The Cookie Dough Cake cake is free from gluten, dairy, eggs, nuts and animal products. 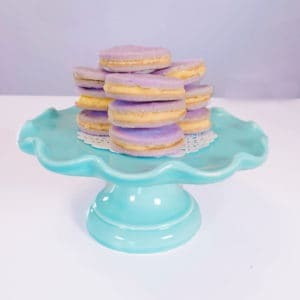 It contains soy.